Just a quick 20 mile gravel loop, perfect when its super cold and you want to get some shield from the wind. 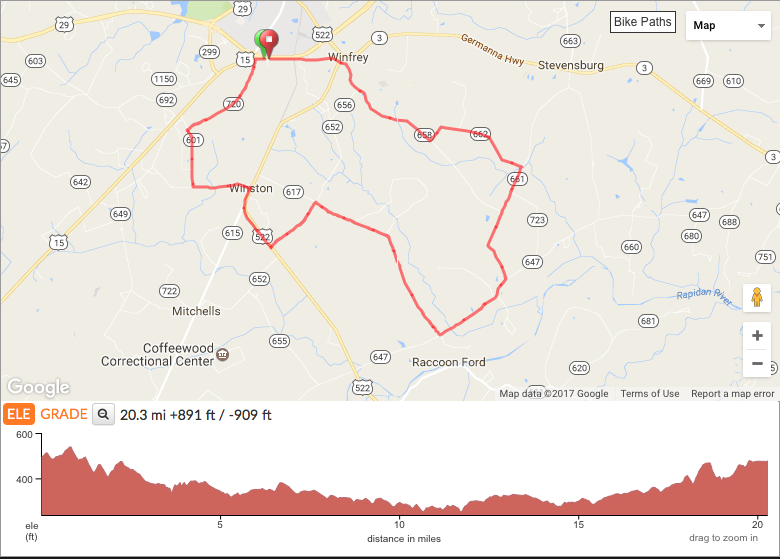 This ride starts on Lover’s Lane and heads out past Culpeper Rec Club and thourgh Winston. Since this ride doesn’t have extensive gravel sections its a great ride you can usually do on a road bike. But be sure to check local conditions first.